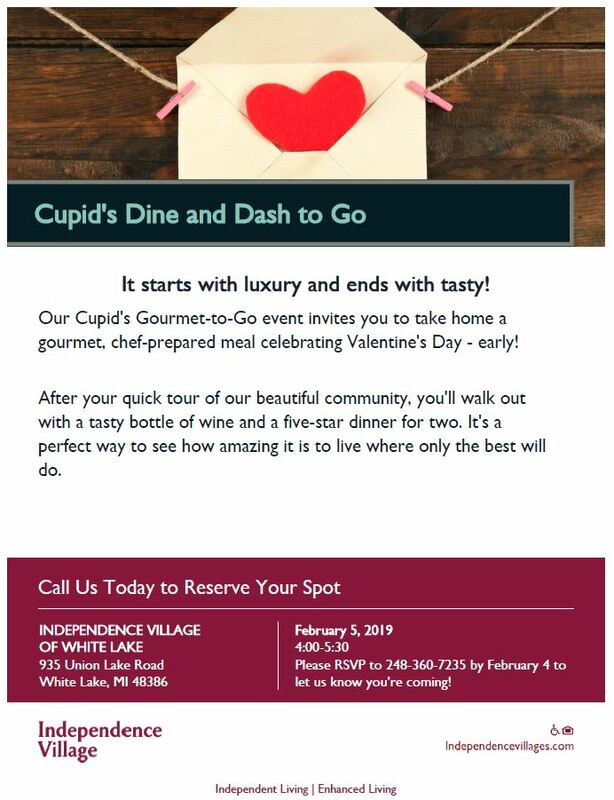 Independence Village of White Lake invites you to take home a gourmet, chef-prepared meal to celbrate Valentine’s Day – early! After your quick tour of their beautiful community, you’ll walk out with a bottle of wine and a five-star dinner for two. Call today to reserve your spot! RSVP by February 4th to 248.360.7235.